Keep up to date with the latest announcements, news, releases and updates. The BackBox Team is pleased to announce the updated release of BackBox Linux, the version 4.4! In this release we have some special new features included to keep BackBox up to date with last developments in security world. Tools such as OpenVAS and Automotive Analysis will make a big difference. BackBox 4.4 comes also with Kernel 3.19. New and updated hacking tools: apktool, armitage, beef-project, can-utils, dex2jar, fimap, jd-gui, metasploit-framework, openvas, setoolkit, sqlmap, tor, weevely, wpscan, zaproxy, etc. https://www.backbox.org/wp-content/uploads/2018/09/website_backbox_text_black.png 0 0 admin https://www.backbox.org/wp-content/uploads/2018/09/website_backbox_text_black.png admin2015-10-12 11:17:162018-10-06 16:51:23BackBox Linux 4.4 released! The BackBox Team is pleased to announce the updated release of BackBox Linux, the version 4.3! This release includes features such as Linux Kernel 3.16 and Ruby 2.1. New and updated hacking tools: beef-project, btscanner, dirs3arch, metasploit-framework, ophcrack, setoolkit, tor, weevely, wpscan, etc. https://www.backbox.org/wp-content/uploads/2018/09/website_backbox_text_black.png 0 0 admin https://www.backbox.org/wp-content/uploads/2018/09/website_backbox_text_black.png admin2015-07-21 12:03:342018-10-06 16:51:18BackBox Linux 4.3 released! 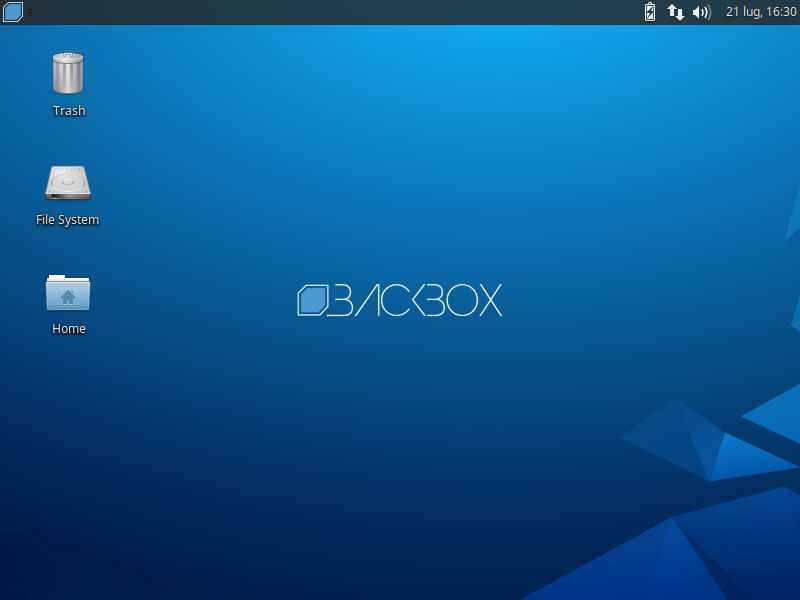 The BackBox Team is pleased to announce the updated release of BackBox Linux, the version 4.2! https://www.backbox.org/wp-content/uploads/2018/09/website_backbox_text_black.png 0 0 admin https://www.backbox.org/wp-content/uploads/2018/09/website_backbox_text_black.png admin2015-04-27 00:01:312018-10-06 16:51:12BackBox Linux 4.2 released! Weevely, the web shell for penetration testing included in BackBox since the earlier releases, has been forked and heavily rewritten as Weevely 3.0 to improve its extendibility and provide new modules for administration, post exploitation, and privilege escalation exploiting any web access. The weevely modules ecosystem provides a working shell interface even with no shell command execution, replacing the standard shell commands (e.g. the file editors, cd and ls, SQL cli and dump, compression utilities, port scanners, etc.) with the weevely modules. The weevely wiki tutorials shows some example on how to edit remote files, harvest and reuse some SQL credentials or bruteforce them. Who wants can follow also the tutorial about developing new modules. Weevely can be extended to automatize the auditing or privilege escalation tasks, exploit specific vulnerabilities, enumerate accounts, scrape sensitive data, pivot on the target to scan the internal networks, run HTTP or SQL requests and do a whole lot of other cool stuff. Weevely is installed by default on BackBox, download it now or get your version of weevely here. The BackBox Team is pleased to announce the updated release of BackBox Linux, the version 4.1! This release includes features such as Linux Kernel 3.13, EFI mode, Anonymous mode, LVM + Disk encryption installer, privacy additions and armhf Debian packages. https://www.backbox.org/wp-content/uploads/2018/09/website_backbox_text_black.png 0 0 admin https://www.backbox.org/wp-content/uploads/2018/09/website_backbox_text_black.png admin2015-01-29 20:51:202018-10-06 16:51:05BackBox Linux 4.1 released! BackBox 4.0 has now a fully customizable tools arsenal! New packages have been created, one for each of the Auditing categories, which bring with them all the package of that specific pentesting field. So you can customize your box and install just what you really need, conforming to the BackBox philosophy of lightness, simplicity and completeness. For any problem let us know.